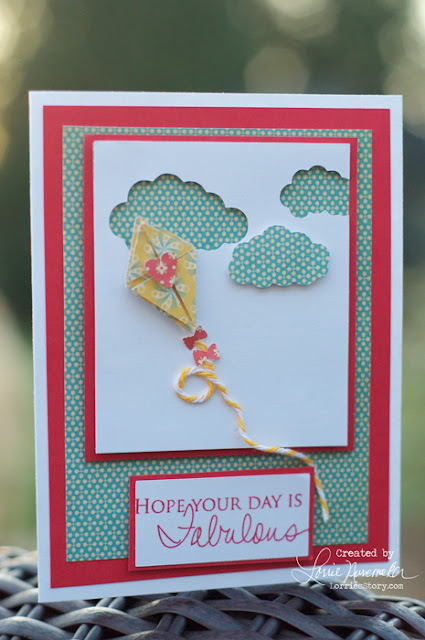 I made this cute card with Silhouette's free shape of the week. I layered the kite and added twine in place of the string cutout. I wish I would have embossed the white middle layer, but it was too late by the time I thought of it.